Cover crops are being used more and more in commercial farming as growers look for ways to cut down on pesticides, herbicides and keep the top soil healthy. Cover crops bring diversity into a field, helping to avoid monocultures, which can weaken both crops and soil. However, you don’t need to be a commercial farmer to use a cover crop. They can easily be used on a small scale in the backyard garden or small homestead farm. Help to control pests and diseases. 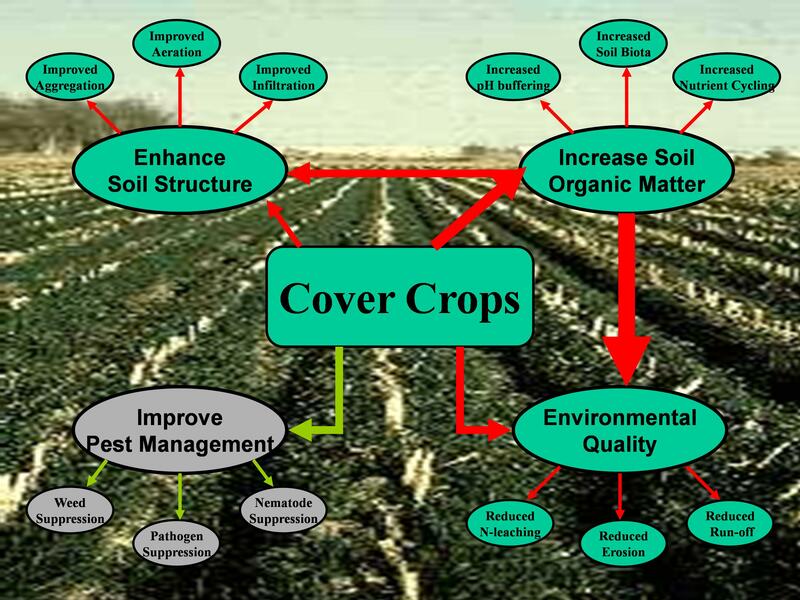 Cover crops planted as companion plantings can help keep pests down by helping to confuse them. Some pests are plant-specific; you’ll find cabbage worms on broccoli but not on spinach. The pest looks for a particular plant to lay their eggs on; it lands on the plant and feels it out to determine if its the right plant; the pest will land and flit a couple of times before it makes a decision; and if everything lines up, it will lay its eggs. But, if there are other plants in the bed with the broccoli, chances are that the pest will land on those plants as well, and it will confuse them enough that they will hesitate to lay their eggs. As far as helping to control diseases, cover crops can create an inhospitable soil environment for many soilborne diseases. There are many pathogens that sometimes winter over on the soil, and when the soil becomes dry and dusty, the pathogen can spread to your plants by any disturbance. Likewise, when it rains, water carries the pathogen to plants by splashing. A cover crop helps reduce dust and also controls the way water touches down on the ground (less splashing – less spreading). Helping control temperature and moisture. Residue from killed cover crops increases water infiltration and reduces evaporation, resulting in less moisture stress during drought. Attracting beneficial insects and pollinators. Insectary cover crops are plants that attract beneficial insects. They provide nectar and pollen for many beneficial insects. 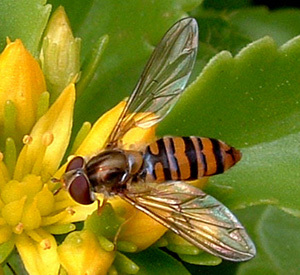 Nectar and pollen are critical for the survival, development and reproductive success of bees as well as many natural enemy species such as hoverflies and parasitoids. Natural enemies kill the pests, and help keep the pest population down. if it’s a true companion to garlic, but what the heck! 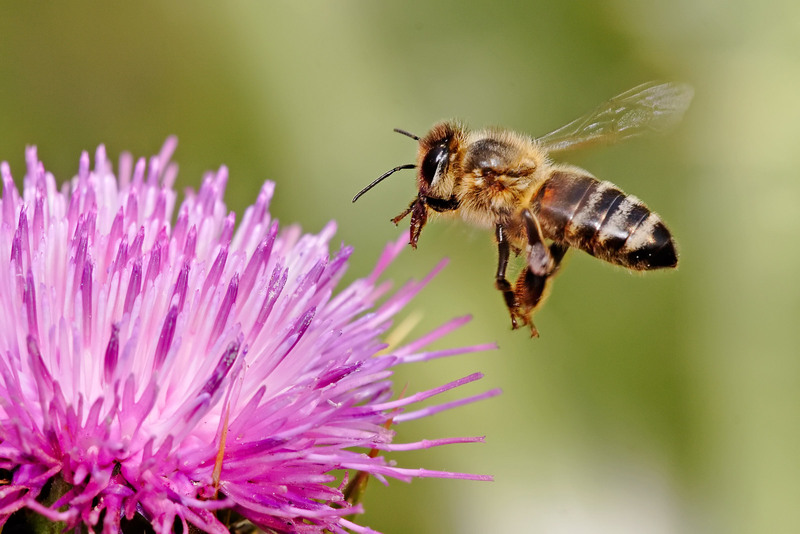 That is an excellent photo of a honeybee.